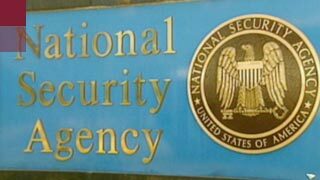 Created in 1952 by a secret executive order by President Truman, the National Security Agency (NSA) is the largest and most secretive of U.S. intelligence agencies -- so secretive that it is joked that its acronym stands for "No Such Agency" or "Never Say Anything." Its historic mission has been to gather communications intelligence on enemies abroad; a cardinal rule was "hands off Americans at home." However, according to author James Bamford, at several points in its history it has broken that rule. Here, Bamford and two individuals who have worked inside the NSA describe its practices and mind-set. After 9/11, the U.S. government began an information stampede to collect any information that might prevent another attack. One of the most ambitious -- and controversial -- plans was a data-mining program known as Total Information Awareness, or TIA. Here, in two Web-exclusive videos, some of the architects behind TIA explain the concept, debate whether it could have worked, and lament the lack of public discussion now that elements of the program are being pursued outside of the public eye. Since late 2001, the FBI had been using a type of administrative subpoena known as a national security letter (NSL) to acquire reams of financial and communication records to aid investigations. But in the inner-most circles of politics, technology and law, a debate has raged over the power wielded by a few sheets of paper. A short explainer of some of the laws protecting privacy and a closer look at federal data-mining efforts, with links to additional readings and advocacy organizations. President Bush's domestic surveillance program isn't the first time that the telecom industry has been caught up in allegations that the government was conducting illegal domestic surveillance. Here's background on their historic relationship. Excerpts from the Bush administration's statements on the president's domestic surveillance program. A closer look at the famous post-Watergate investigation into domestic spying abuses and how it led to a secret court to authorize surveillance requests.